The newly renovated Mid-Century Modern nave is visually transformed by moving air conditioning ducts above the ceiling. Holy Spirit Episcopal Church celebrated the completion of its expanded Narthex and renovated worship space in style on Saturday, August 4. Following the ribbon cutting parishioners held an Evensong service in the updated nave. Renovations to the mid-century space were designed to produce a brighter, more open worship environment while maintaining the beauty of the original. At the end of the service, all were invited for a champagne reception. The expansion and renovations were initiated during the comprehensive master plan process conducted by Heimsath Architects in 2016. 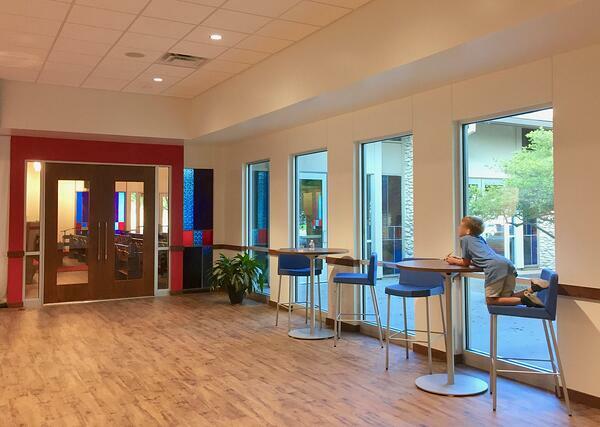 This Phase One project focused on improvements to the entry area and worship. In addition to the work on the Narthex and Nave, the scope included new bathrooms, accessibility improvements, the relocation of the bell tower, and parking lot resurfacing. The Narthex expansion creates a welcome space for gathering and preparing for worship. Eric MacInerney and Li Tong represented Heimsath Architects at the festivities. The project was constructed by Barsh Construction of Waco. At the service and the reception, Fr. Jason and committee members shared their appreciation for a job well done. A formal re-dedication with Bishop Dena Harrison is scheduled for August 18. What is a Narthex? 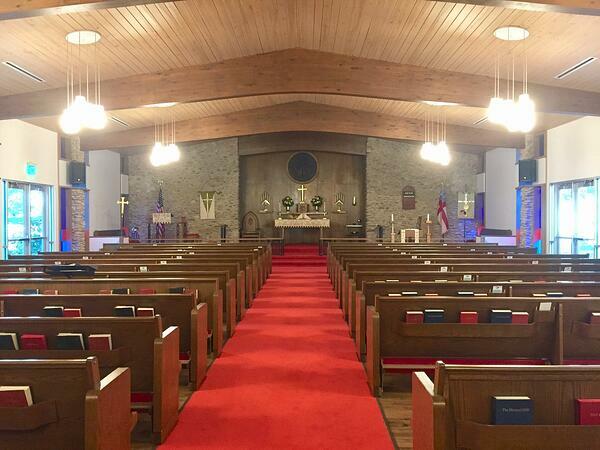 Why is a Narthex so important? Click the links to our blogposts for more information! Or download our whitepaper on the origins of the modern Narthex.